It’s not every day that a seemingly ordinary traffic stop leads to a major multi-million dollar drug bust, but that’s exactly what happened when police caught up with Herasmo Herrera last September. A Villa Park man nabbed in a $3 million cocaine bust will serve at least eight years in prison for possessing about 70 pounds, prosecutors said Friday. 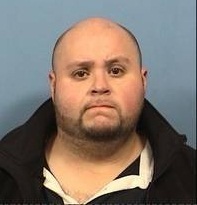 Herasmo Herrera, 31, pleaded guilty to drug possession with intent to deliver in exchange for a 16-year prison term. By law, he must serve at least half the sentence..